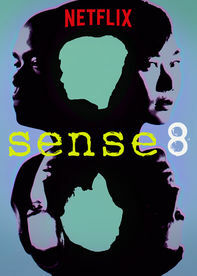 After almost a year since the news was made public of Korean film actress Bae Doona taking part in the new science-fiction series Sense8 co-written by the Wachowskis (Matrix, Cloud Atlas) and J. Michael Straczynski (Babylon 5), Netflix has set a premiere date on its service, including in the United Kingdom. And it will be Friday June 5th! Other confirmed Korean actress (as per the IMDB credits), for 3 episodes too, is Kim Jina who was in Korean film Penny Pinchers (2011) – as a prison guard. As per an earlier article by DramaBeans, it is also possible that Korean drama actors will make an appearance: Ma Dong-seok (Bad Boys, Kundo), Cha In-pyo (Endless Love, Daemul), Lee Kyung-young (Vampire Prosecutor 2), Myung Kye-nam (Ghost, Unemployed Romance), and singer Lee Ki-chan (Into the Fire). The 12-episode series follows eight ordinary individuals at disparate parts of the world who suddenly find themselves psychically connected, able to share feelings, knowledge and thoughts. But new abilities brings troubles, and they have to team up to face their new ennemies and solve the mystery behind the event that made their telepathic connection possible. A very exciting series for which the trailer is already available to watch, and page already exists on Netflix UK.